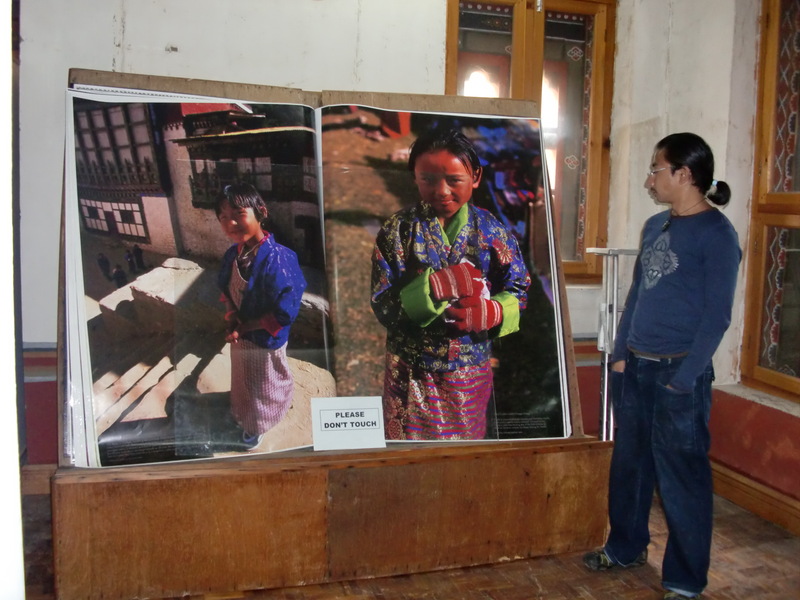 DAY 37: was all about seeing the sights of Thimpu. Bhutan didn’t have roads until the 1960s, only has 2.5km of dual carriageway, and does not have a single set of traffic lights (apart from a short-lived experiment, which confused all and sundry). Instead, the major traffic junctions in the capital have “dancing” Policemen in Jacko gloves! 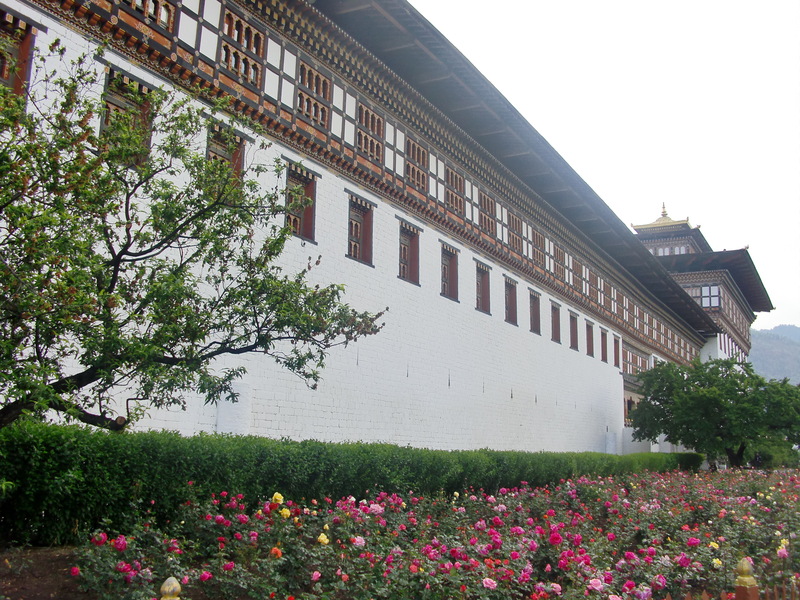 Here’s the Dzong (=Fortress), now an administrative centre. The largest book in the world, 2.13 metres wide, is in the National Library. I had to ask Abhi, our Nepalese tour leader (who’s about 5 foot 10) to pose next to it to get a true sense of scale. 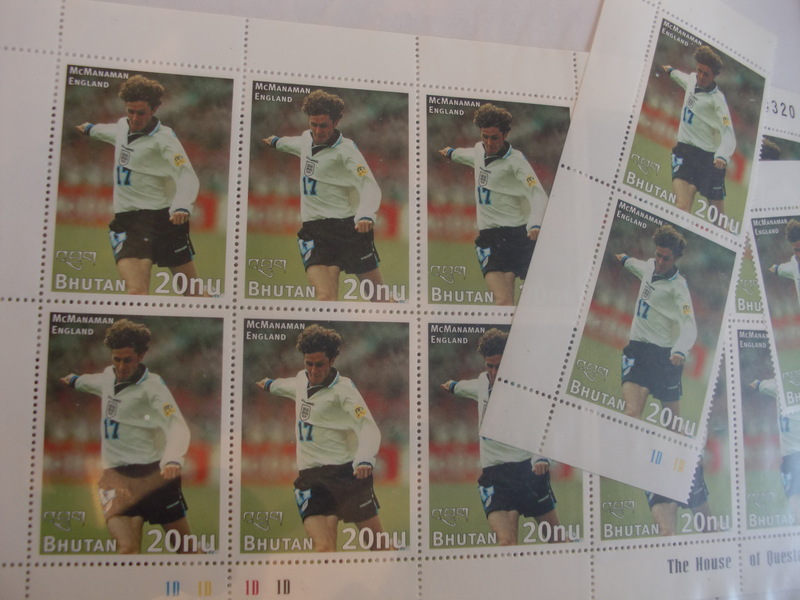 They also have Steve McManaman, circa I think World Cup France 98, on stamps. I have no idea why! 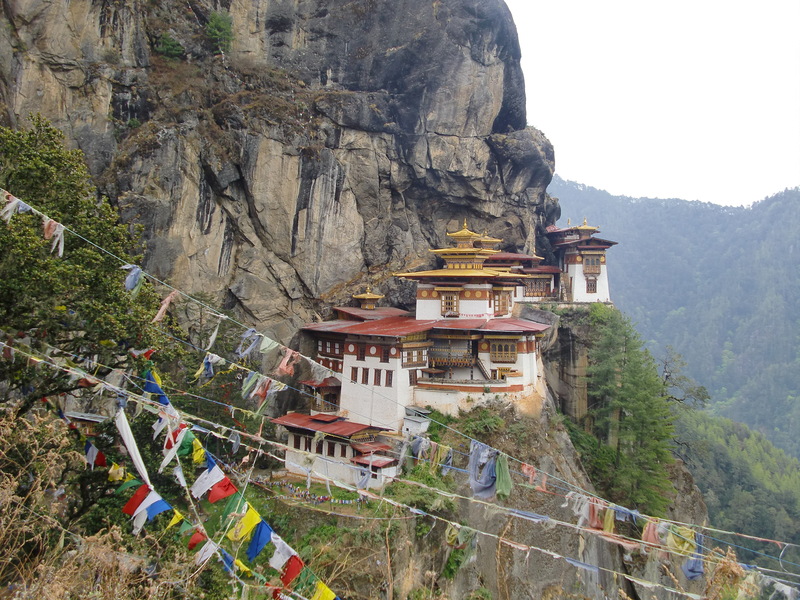 DAY 38: was mainly filled with a hike up to the Tiger’s Nest Monastery, which clings to the side of a rocky hill. 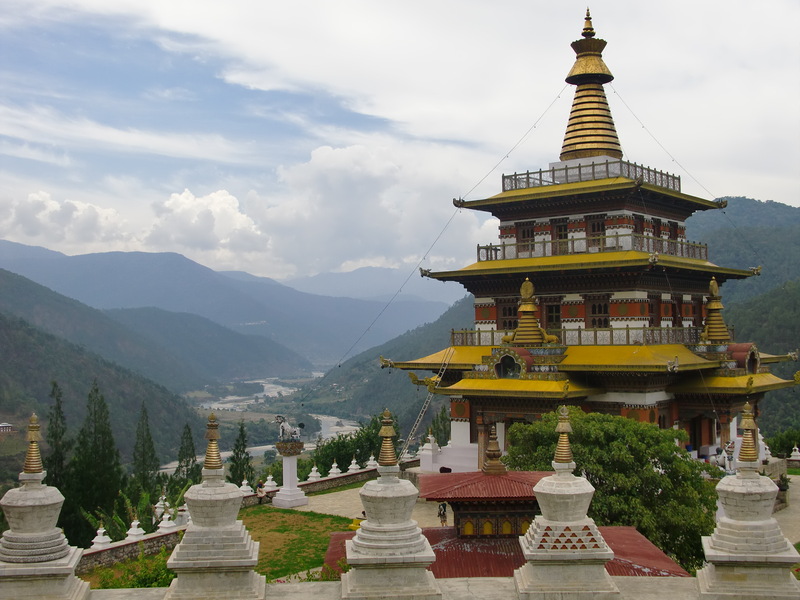 It was a very steep climb to the top, about 3,200m above sea level, but the views both of the monastery and the Paro valley floor are worth it. In the morning, I fly to Delhi. Okay, so today is the day of the General Election back home, and I’m actually (for the first time) feeling a bit homesick. Not because I’m missing anybody or anything, purely because the political situation seems interesting enough that I would like to observe. 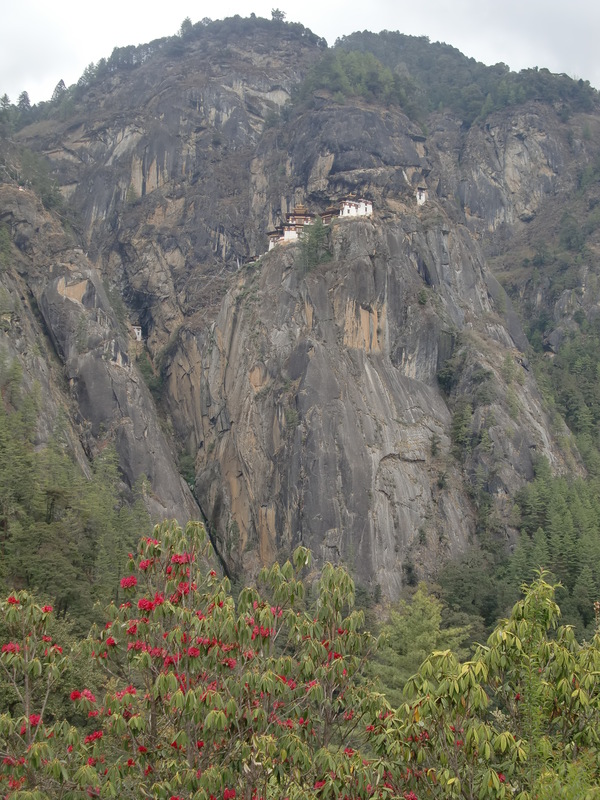 Anyways…since the last post I’ve been having a wander through the lovely, beautiful and happy place that is Bhutan (and there aren’t an awful lot of internet connections, so I’ve not been able to tell you about it on my way). 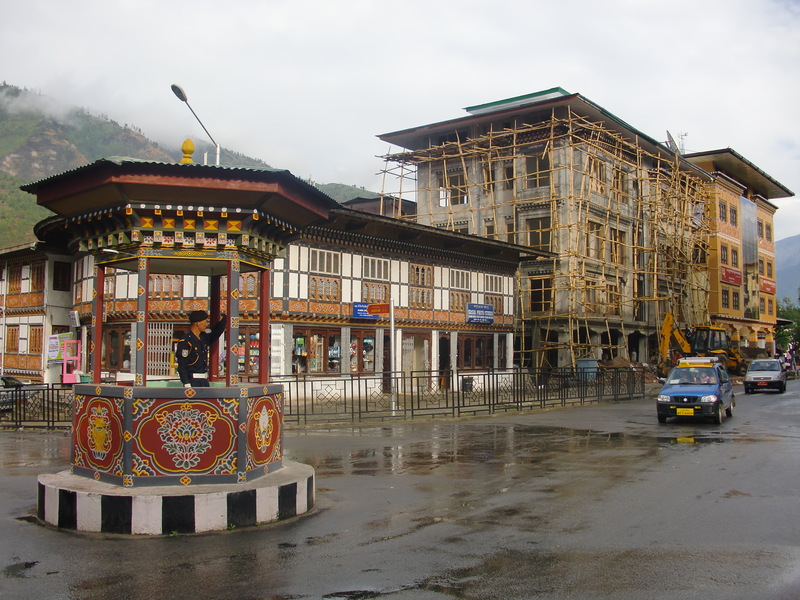 We left Paro (the airport town) to drive through Thimpu (the capital), and then onwards to Punakha, the former capital city. 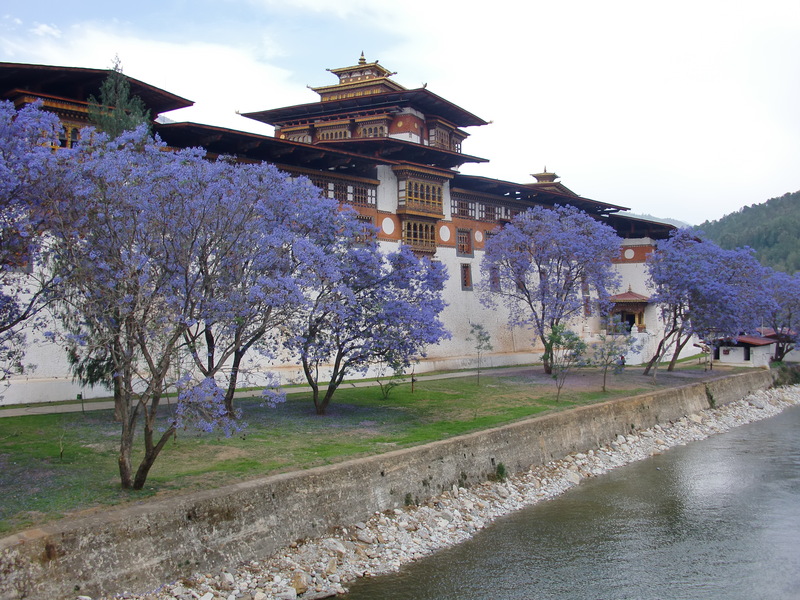 After lunch, and checking into our hotel, we visited a couple of monasteries and the spectacular c17th fortrees (Dzong) in Punakha, which looked beautiful amongst the Jacaranda trees along the river. 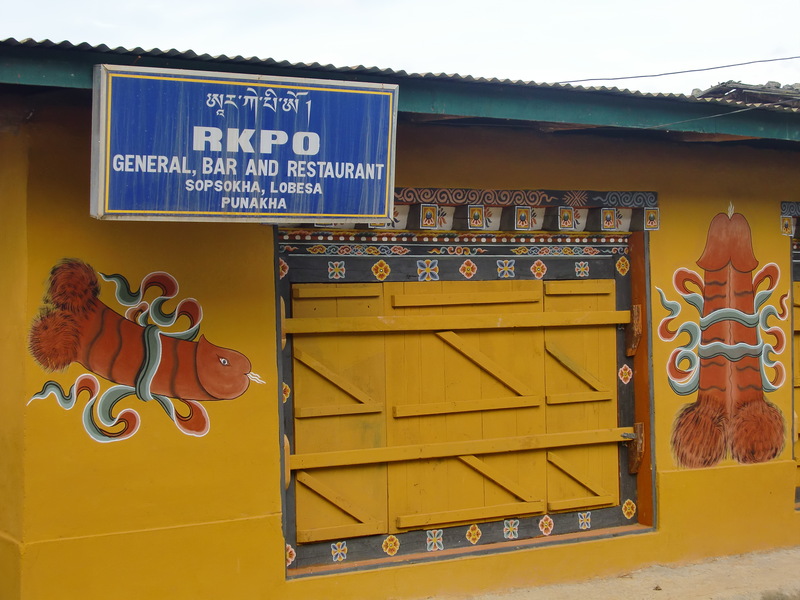 Many houses and businesses in the Punakha valley feature phallic symbols painted on the walls, as a fertility ritual. This was started “The Divine Madman” (well, a self-styled reincarnation of the c.15th Bhutanese legend) (I found a book on the legend in Thimpu, now in my rucksack). I’ve also met “The Divine Madman” (well, a self-styled reincarnation of the c.15th Bhutanese legend) in our host “Uncle” at Hotel YT in Punakha. 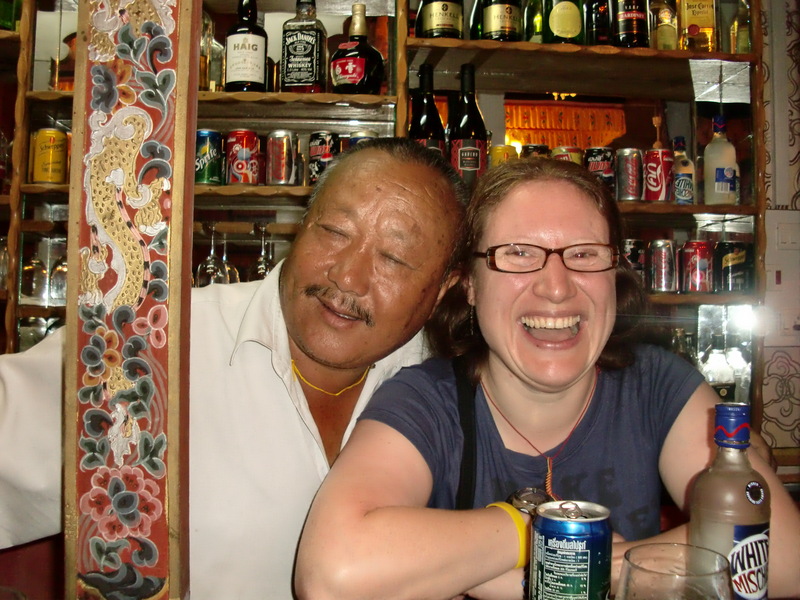 It was obviously easier for me to get a job behind the bar…. 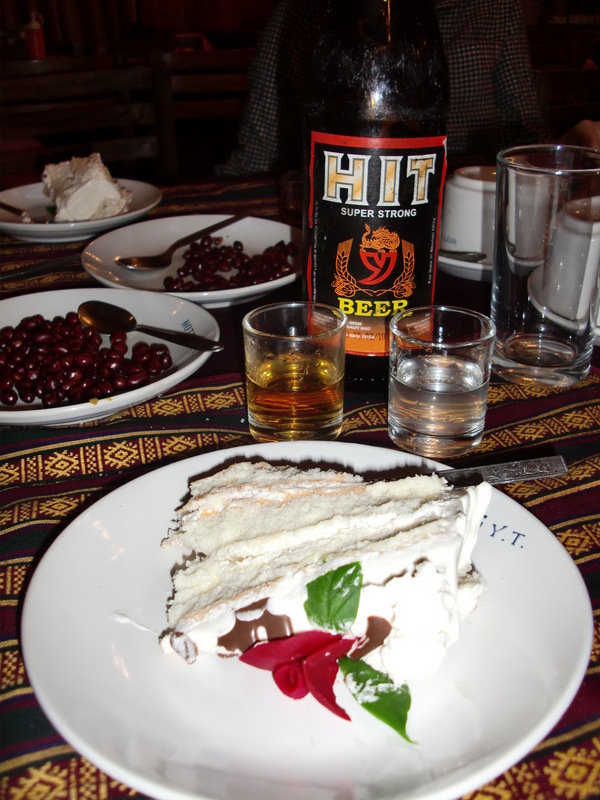 Dinner of Bhutanese beer, 25-year-old whiskey and arrack! Driving onwards to Gangtey (via a tea-stop amusingly called ‘Nob-ding’! ), we had chance encounter with the recently (2 weeks ago, and on a tour around Bhutan) deceased body of the latest re-incarnation of Guru Rinpoche and his funeral cortege and celebrations. The evening was spent at a homestay in the Gangtey Valley, where I was lucky enough to sleep in the family’s prayer room. Really quite something, and clearly not going to happen again in a hurry. These experiences are why I love to travel. 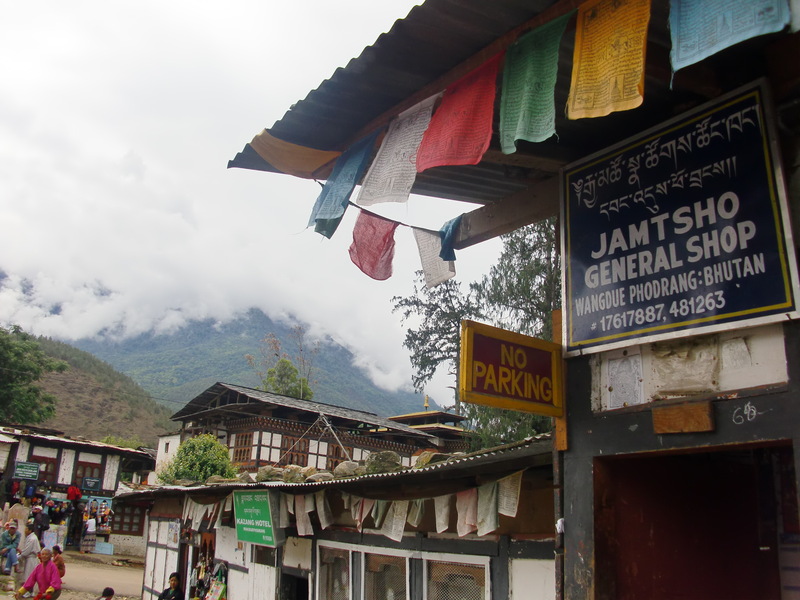 Now we’re back west, in the capital city of Thimpu. 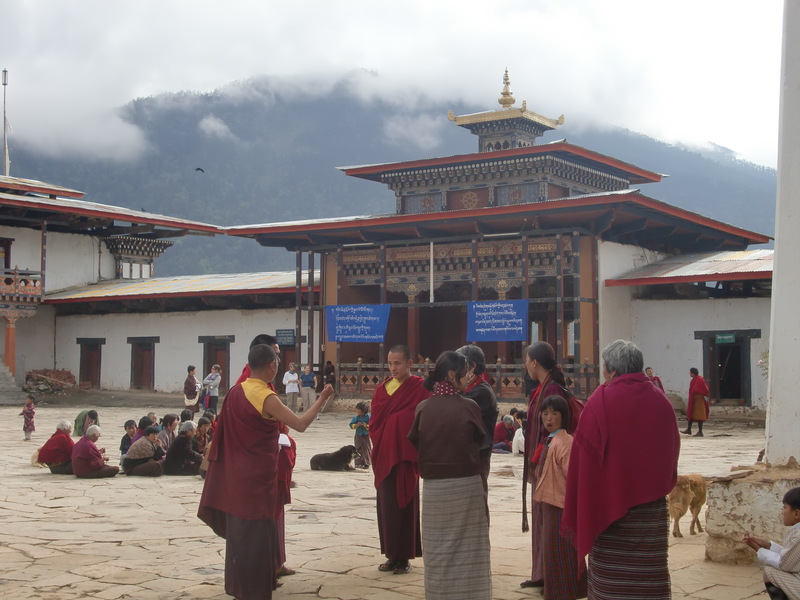 We’re halfway through our 2 days here to see the capital and it’s Dzong, parliament, markets…more to come tomorrow. Okay the half-kira isn’t tied too well, but you should get the gist (and a laugh)…! 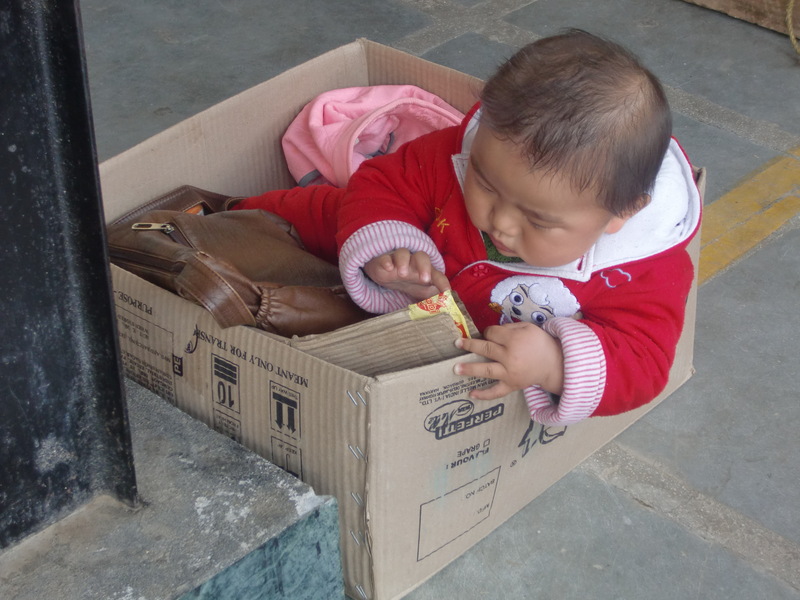 Two and a bit days before I leave Bhutan, a week before I’m back in London. This isn’t right, right…?! And, as a closing gambit, I have mostly been listening to Elbow’s ‘The Seldom-Seen Kid’ (particularly ‘One Day Like This’) and Frank Turner’s ‘Love, Ire And Song’. So many times that I suspect that those albums will always be synonymous with this trip. This is not a bad thing.